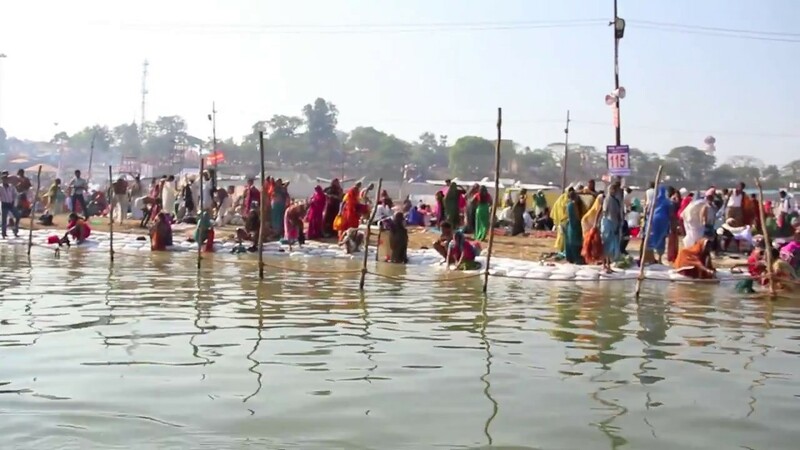 A very great fire ceremony organized by the Sacha lineage is being held during the Magh Kumbha Mela, in Allahabad at the confluence of the three rivers — the Ganges, the Yamuna and the invisible Saraswati at Sangam Prayag. Millions of people from India and abroad are expected to attend the Kumbha Mela. 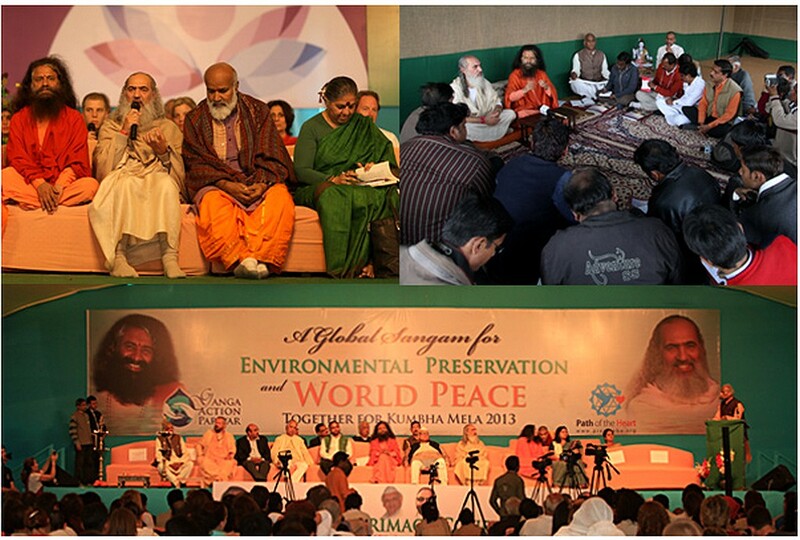 This fire ceremony is necessary to help the spiritual changes which are actually going on all over the world. Indeed, we are in a period where new energies push for a rise in spiritual consciousness, and it is necessary to help people get used to these energies and adapt to them. Humanity will progressively learn to live through the heart instead of only the mind. This ancient tradition of holding important fire ceremonies for the welfare of humanity was revived by Sacha Baba Kulanandji many years ago and was continued by Maharajji Sacha Baba. Now, their disciples maintain the tradition. Sacha disciples can also support the transformation programme by chanting the Prabhu Aapa Jago mantra daily, wherever they may be in the world. This mantra was divinely revealed to Sacha Baba Kulanandji for this purpose. This entry was posted in From Sacha Dham ashram, Rishikesh and tagged Fire ceremony, Heart, Kumbha Mela, rise in Spiritual Consciousness, Sacha lineage. Bookmark the permalink.